"The Chariot" pull-type cart for 56 series applicators, allows producers to pull this applicator behind their existing implements, for cover crops, seeding, herbicide or low rate fertilizer application. Three Point Mount 56 series applicators, allow producers to pull implements behind applicator for cover crops, seeding, herbicide or low rate fertilizer application. 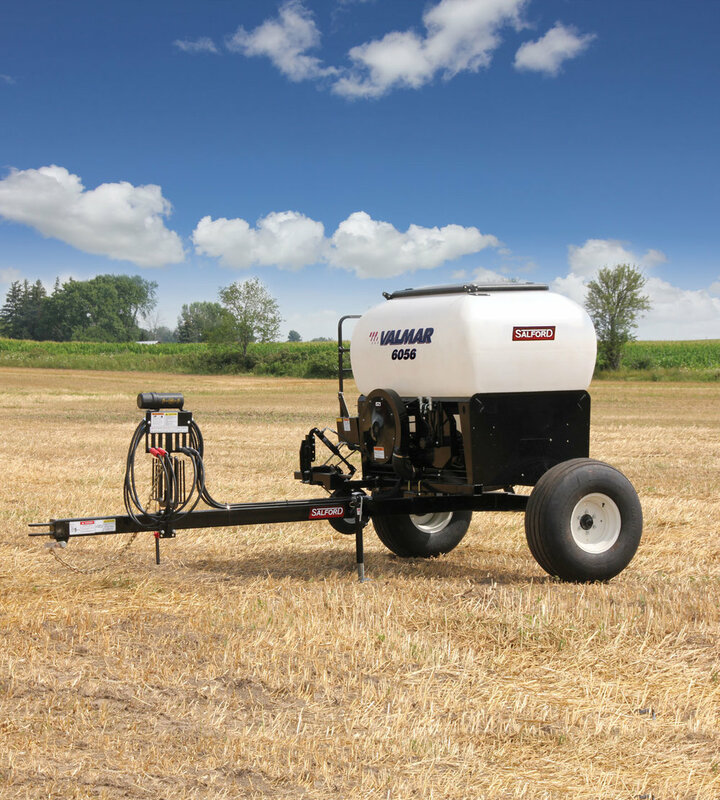 Top-dress for success with this mid-season mechanical applicator. The AC2000 is a double-tank, tow-between or tow-behind model. The AC2000 can be equipped with a 65-bushel Salford plus tank to handle small seed and inoculants.